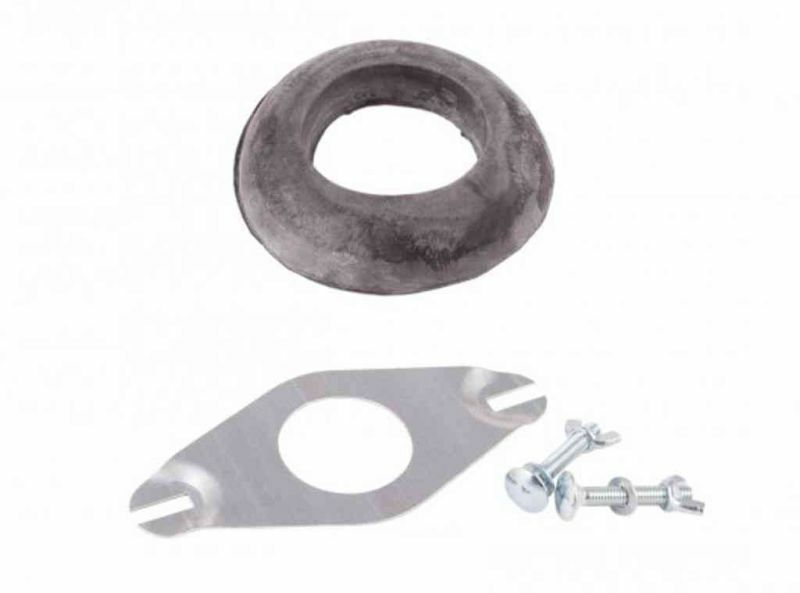 Toilet floor fixing kit to fasten the toilet pan to a range of floors, these can also be used for bidets. 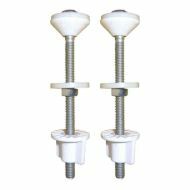 Pair of bolts and wing nuts for the close couple connection on your handle flush toilet / WC. You will need these if you had to saw off your old rusty bolts / nuts to dismantle your bog. 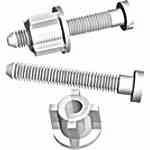 Special set of bolts, nuts and washers for modern push button type toilet cisterns and pans. These go right through the bottom of the cistern to secure it to the toilet pan below. Replacement flapper for fluidmaster flapper type toilet flush valve. Chlorine resistant, adjustable flush, with kink-free chain. 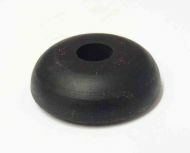 Plastic toilet flush pipe cone / ring. 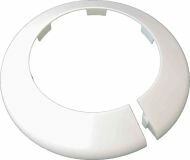 Connects flush pipe into a low level toilet pan. 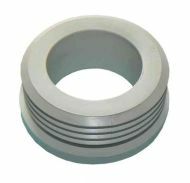 Rubber internal flush pipe cone / ring. Connects flush pipe to a low level toilet pan. Low Level Toilet Flush Pipe 18" x 18"
Low level toilet flush pipe 18 x 18 inches. Approx 38mm OD. Easy to cut to the size you require. Toilet cistern overflow standpipe, for toilet cisterns without an internal overflow. Can be cut to required height. 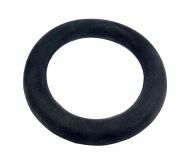 Suits 3/4 inch plastic overflow pipe, comes with rubber sealing washer. The sealing joint between the flush pipe and old type toilet pan. Modern replacement for an old Chisholm joint. 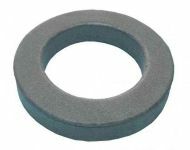 Pair of plastic bolts and nuts for toilet seat hinges. 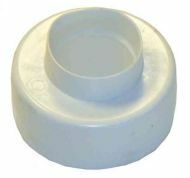 This Talon PC110WH plastic collar / cover makes a tidy job of your toilet / WC waste pipe where it goes into the bathroom wall or floor. 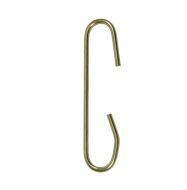 Special clip allows easy fitting without disturbing your existing plumbing (no tools needed). This is the wire that connects your toilet cistern flush handle and syphon together. 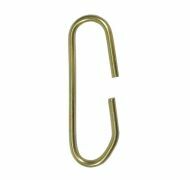 Called a C link, as it looks like the letter C.
Called a C link as it looks like the letter C.